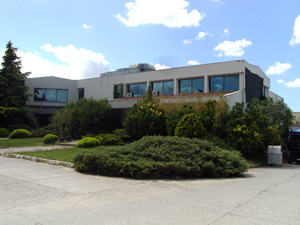 Bravo Textile was founded in 1993 Izmir by Hakan Erguven, and continues to be a family owned and operated turkish manufacturer. As a privately held company, Bravo Textile freely strives to implement its core philosophy of achieving success by being of service to its clients, an asset to its employees and a partner to its vendors. A heritage of hard work, integrity, and gratitude have clearly demonstrated that these character traits are Bravo Textile's path to long term success. We believe that the best way to ensure profitability is by putting people and principals first and foremost. We look forward to serving our current and potential clients with warmth and service. An innovative, young team develops trends and styles in the premium segment for it`s customers. In our company this has top priority. This is what our name stands for. Our customer benefits additionally from experience and existing infrastructure. The production contains organic and non-organic apparel clothing. Bb&HE is a fashion design label founded in 2016 The label is a part of Bravo Textile. Two young designers are responsible for the Artworks which are pretty funny. The Label Bb&HE will be produced also as GOTS certified apparel.